Red flags are small issues in your home that can grow worse. It can be anything from a leaking faucet or a washing machine that makes too much noise. It is essential to identify and take preemptive action to prevent them from causing you serious problems in the near future. Vinylume, your reliable roofing contractors in Stamford, CT, are here to talk about four red flags you should not ignore in your home. Hire expert roofing contractors in Stamford, CT, to see if there are signs of damage or deterioration on your roof. Count on Vinylume to inspect your roof thoroughly. 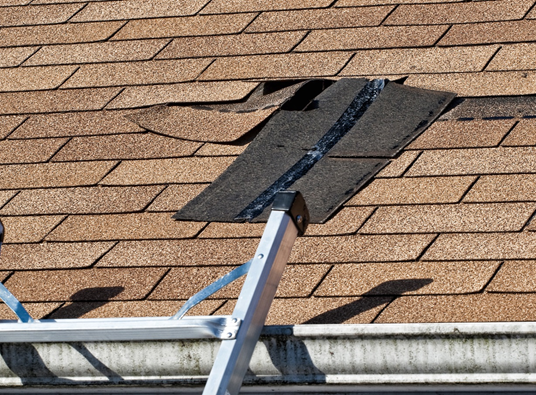 We will check if there are broken or missing shingles, or if it has sustained other forms of damage. Depending on the severity of the damage, we will recommend either a roof repair or replacement. We can also check your home’s interior for signs of water damage. This can be anything from stains on your ceiling and walls, or mold and mildew growth. If we suspect that these problems are associated with a faulty roofing system, then we can provide you with efficient solutions. As one of the few GAF Master Elite™ roofers in Stamford, CT, we are familiar with different roof issues and have knowledge in dealing with them efficiently. We can recommend a roof repair or replacement. These can weigh down and damage your roof, which is why it is essential to remove them. As your specialist in roofing in Stamford, CT, part of our job is helping you keep your roof in top shape. This includes trimming dangling branches to prevent them from compromising your roof’s performance. We can check your gutters to see if there are shingle granules in the system. If we see that there are excessive shingle granules, then it is a sign that your roof is already failing. We offer asphalt roofing shingles that are durable and can withstand severe weather conditions and strong winds. With our shingle roofs, you can have the peace of mind knowing that it will provide lasting protection. Be vigilant in spotting red flags. Let Vinylume help identify and prevent red flags from leading to bigger problems. Call us today at (866) 244-8029 for more information about our roofing services. « Top 5 Reasons You Should Hire Vinylume	» What is National Roofing Week? Repair or Replacement: What Does Your Roofing Need? How Do Roof Leaks Affect Your Comfort and Home’s Efficiency?